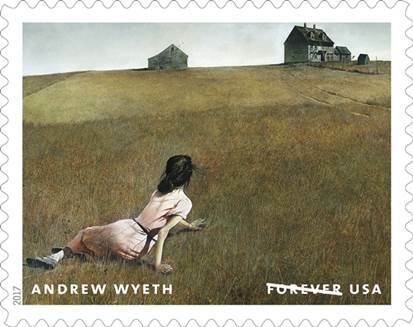 The USPS celebrated what would have been Andrew Wyeth’s 100th birthday today on 12 Forever stamps depicting samples of his iconic work. 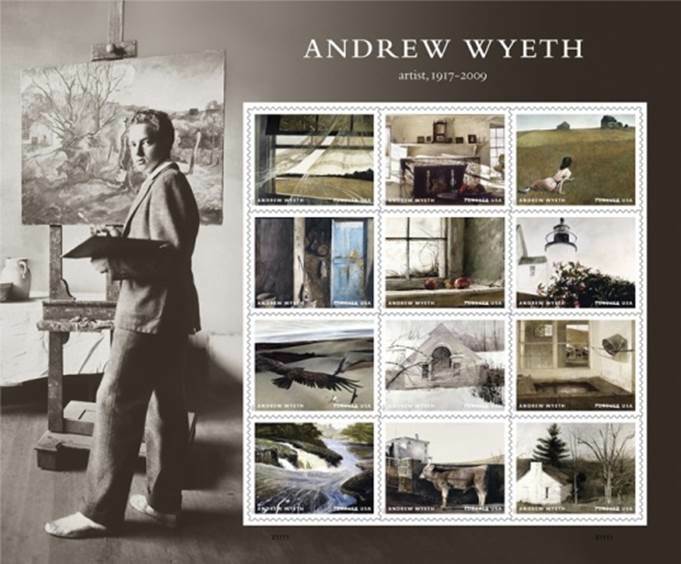 His son and acclaimed artist Jamie Wyeth helped dedicate the stamps at the Brandywine River Museum of Art in Wyeth’s hometown of Chadds Ford, PA. There are some really cool images in this set of stamps, and I suspect that everyone will love“Christina’s World.” The painting was inspired by Christina Olson, a disabled neighbor in Maine, and remains a rich and enigmatic work that inspired decades of interpretation. The Museum of Modern Art in New York City purchased the painting in 1948. Today, “Christina’s World” is one of the iconic works of 20th-century American art. From the sale of “Christina’s World” to the sensational “Helga pictures” unveiled in the 1980s, Wyeth captured the imagination of the American public and established himself as one of the most prominent American artists of the 20th century. The Pacific Tsunami Museum in Hilo is asking for the public’s help with finding missing parts from a beloved sculpture at the corner of Kamehameha Avenue and Kalakaua Street. The original work of art belonging to the museum was damaged during the weekend of June 24. The sculpture depicted Hawaiian goddess of the sea Namakaokahai, elder sister of fire goddess Pele, riding a sea turtle. The heads of Namakaokahai and the turtle were removed from the sculpture. Read the whole strange article here.